Who´s ready for summer?! Centro MundoLengua is excited as we eagerly wait the arrival of our students in our programs during the summer! We can´t wait to show them what Spain has to offer. They´re going to learn and experience so much! One of the differences to anticipate during our summer programs is the blistering, dry summer heat of Southern Spain. Getting adjusted to the heat during our summer programs can be challenging for study abroad students, so we´ve come to the rescue with 5 ways to beat the summer heat during our summer programs! What a perfect idea for a weekend activity! Find a water park close by and take some study abroad friends with you and enjoy a day full of water slides and lazy rivers. For students located in Seville, there´s a local amusement park that doubles as a water park called la Isla Mágica. It´s a great place to spend the whole day without the summer heat getting the best of you. With MundoLengua, our students get the benefit of included excursions while having weekends free. Also, all our locations are within reasonable traveling distance to the beach. No matter your location, you can easily hop on a train or a bus and get to the coast. 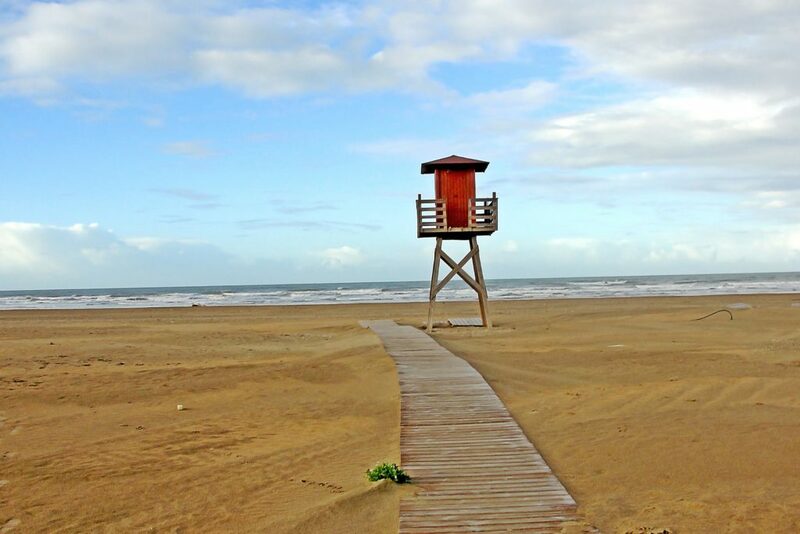 Many students in our Seville summer program enjoy day trips to the beaches of Cadiz and Huelva, which are some of Southern Spain´s most beautiful and popular beaches. Just pack a picnic, a towel, and enjoy a relaxing day! There are tons of water sport activites! 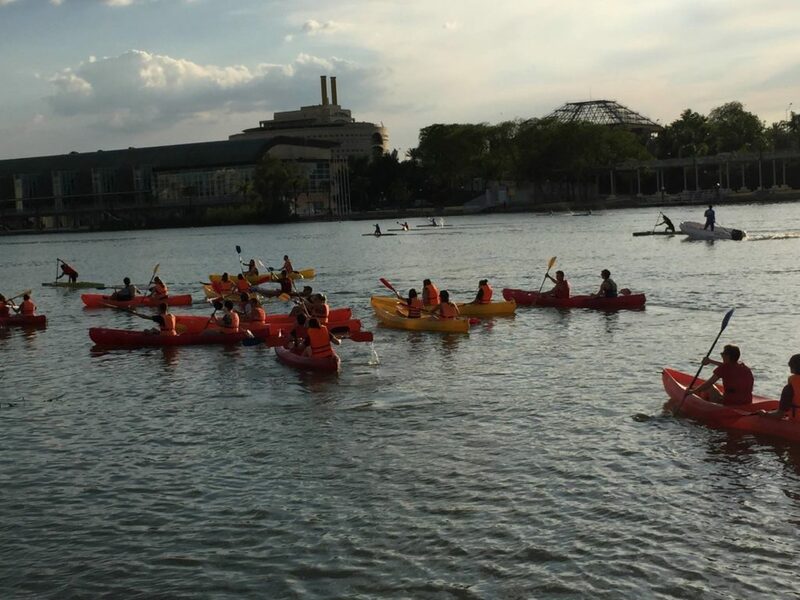 A crowd favorite amongst our summer program students is kayaking. 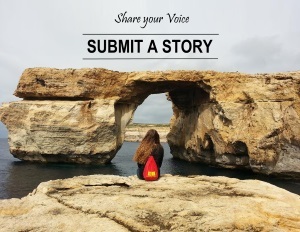 A great company to contact for information is KayakSevilla. Go with a big group, or individually and you´re sure to have a blast! This is perfect for those who like being active despite the intense high temperatures. Besides, you will definitely get soaked. Not into kayaking? 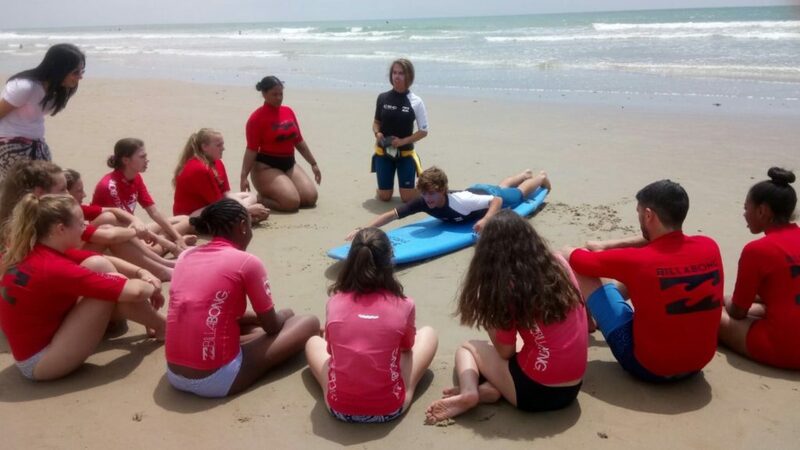 Try setting up surfing lessons in Cadiz if you go for a day trip! Studying abroad is like a vacation too, right? Why not treat yourself to a ice cream or two, or three…or four! Spain is packed full of ice cream shops. It´s practically impossible not to find ice cream, but that´s good for easy access! 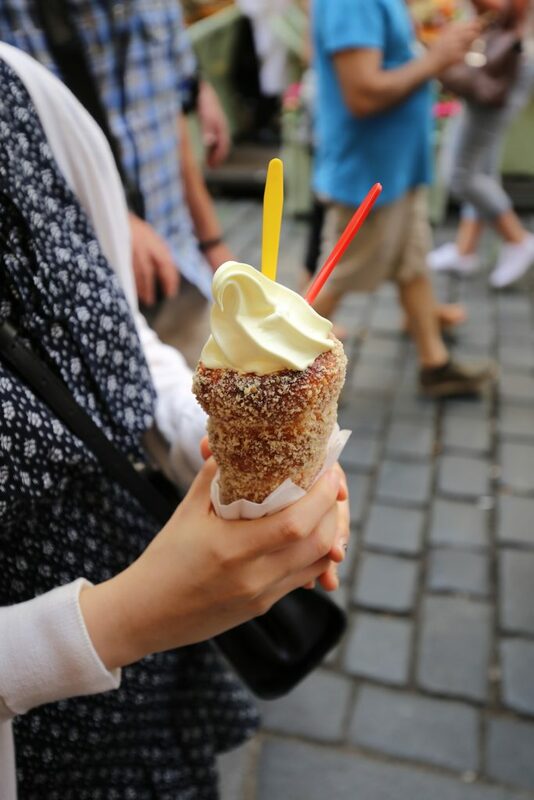 In the blistering heat, even walking around the city to daily locations is exhausting, but just grab some ice cream as a quick, yummy way to cool off. Some popular ice cream parluors include Grazie Mille, Bolas, or Freskura, but of course, there a several more. Even if you aren´t here during our summer programs ice cream is still always a great option! 5) Remember the little things! This is probably the most obvious, but it´s really important to be reminded of all the little things that do wonders for you in the summer! Make sure to bring a hat or a sunbrella to keep the sun from directly beating down on you. It´s also a good idea to have a backpack with frozen/cold water to stay hydrated, and a towel to wipe off sweat if needed. You might want to try refridgerating baby wipes to add to your backpack too. It´s a nice way to wipe your face or your hands, especially after finishing your ice cream! Another useful tool is a fan! Luckily, you can find a fan anywhere in Spain. It´s great for getting extra air and it doubles as a souvenir! During our summer programs at Centro MundoLengua, it can be quite challenging to adjust to the high temperatures of Southern Spain. Just keep in mind a day trip to the beach or water park, plan water sport activities, splurge on ice cream, and don´t forget the little tricks! Great information, I appreciated the tips. 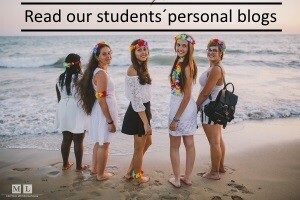 Do you include outings to the beach and water parks with your summer programs? Hola Fan Expert! We offer highly personalized programs so, of course you have the option to include these excursions in your itinerary. 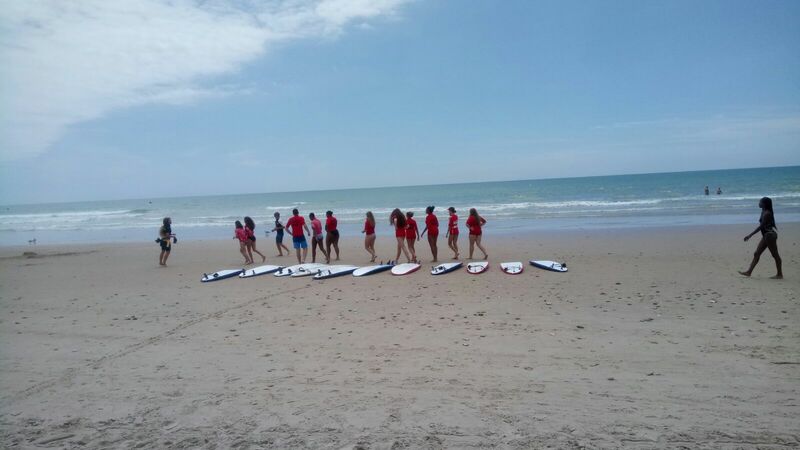 Our students love taking weekend trips to the beaches of Cadiz and spending a day at Seville´s amusement/water park La Isla Mágica. Just request the activities that you’re interested in!